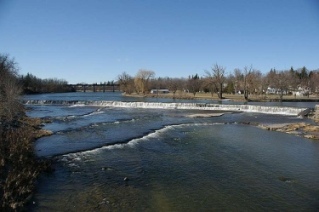 The quaint, historic town of St Marys is located on the Thames River, southwest of the town of Stratford, where the river cascades over a series of limestone ledges and provided the power needed to run the first mills. The first settlers arrived in the 1840’s, having been attracted to this area by the natural resources, such as the local limestone, which had been found close to the surface in the surrounding areas, and which could be easily quarried for building materials. 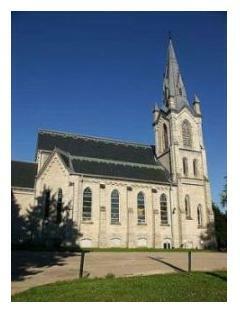 In the late 19th century the town prospered and expanded, and new churches and businesses were built. In addition the new Town Hall, the Public Library and Opera house were built between 1880 and 1904. St Marys has a population of 6,300 and is nicknamed "The Stone Town" because of it’s many buildings constructed of the beautiful local limestone, including homes, Churches and commercial buildings. Today, St Mary’s is a modern, friendly town with a quaint, old fashioned feel. A community walkway follows the old millrace along the river, although today there are no longer any working mills, it is still a pleasant walk. Limestone building blocks are no longer quarried here, but limestone is still essential to production at the St Marys Cement Company, which is a major local industry. There is a three kilometre walking trail on an abandoned CN rail line along the north edge of St. Marys. The trail includes two bridge crossings, one at Emily Street, and the other over the Thames River, which is shown here. A natural limestone quarry which had been abandoned since the 1930's, is now a municipal swimming facility, and is in fact Canada's larges outdoor swimming pool. It is part of the Lind Sportsplex which is wheelchair accessible. A great way to explore the history of the town is the Historical Narrated Walking Tour which runs on Saturday mornings at 11am, from July 5 to August 23 2008, from the Town Hall steps at 175 Queen Street East. There is a Farmer's Market held each Saturday morning at Jones Street parking lot at Water St South, from mid-May to the last week of October, 8:00am to 12 noon, where you can buy locally produced meat, home-made baking and preserves. Another summer treat for residents and visitors alike is the "Piper at the Falls". This event is held each Friday at dusk at the Falls, outside the Castle Garden, 75 Queen Street East, when local piper Mark Fletcher, shares his skill with the Pipes with his audience. This event is free. Each summer for the past 12 years there has been the Stonetown Heritage Festival which is one of my favourite festivals in Southern Ontario. Check out their website to find out more information on theis annual event. This family oriented event features live entertainment and activities for all ages in a friendly and relaxed atmosphere and is located in the downtown area of town. St Marys is the home of the Canadian Baseball Hall of Fame at 386 Church Street South, and is open to the public and the parking is free. The 2008 inductees are Tony Fernandez, Billy Harris, Gladwyn Scott and Peter Widdrington. Come along and have some food & drink, watch a baseball game, take a tour of the Museum - there is sure to be something for everyone! For more information on the events at the Baseball Hall of Fame call Scott at 519-284-1838. Eaton’s, formerly one of Canada’s largest retail stores, has it’s roots in the area. The first Eaton's stores were opened in St Mary’s and nearby Kirkton. St. Mary’s residents are proud of their community’s heritage and look confidently to the future. If you are visiting St Marys or touring in the area there is comfortable accommodation available with Ray & Eloise Hagerman at Serendip Bed & Breakfast , check out their site by clicking on the link. Hubby and I stayed there recently and had a wonderfully comfortable bed and delicious breakfast. Eloise is a wonderful cook and her husband Ray gave us a guided tour of their well-kept back yard. 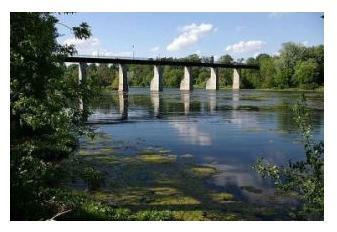 Another place to stay in this pretty town is the Riverside Bed & Breakfast which is right beside the Thames River. Stay a while with John & Marie Stevens and enjoy the slower pace of life in St Marys. Serendip Bed & Breakfast - Comfortable, affordable accommodation with a delightful garden to sit and read, and in the morning you can enjoy some of Eloise's home baked Cinnamon Buns and fresh fruit salad with your delicious coffee!